Opening October 2nd, 2017! Now accepting appointments. Call (206) 486-3344 or click here to schedule. South Lake Union Physical Therapy is an orthopedic outpatient clinic conveniently located on Dexter Avenue, making it easily accessible from nearby Fremont, Ballard, Queen Anne, and for downtown commuters. Our clinic offers skilled staff who value our patients and their care providers’ best interests. The staff at South Lake Union Physical Therapy is knowledgeable in manual techniques to maximize joint alignment, stability, and mobility of the spine and extremities. These manual skills include: cross-friction massage, myofascial release, soft tissue mobilizations, joint mobilizations, and muscle energy techniques. Postural education, ergonomics, body mechanics, injury prevention, neurological reeducation, coordination exercises, core strengthening, strength training and flexibility, range of motion movements are provided in the clinic and for home use to maximize the attainment of your goals. Pain relief techniques and modalities such as hot/cold packs, ultrasound, electrical stimulation, support wraps, taping, and/or traction may be received along with the tools for prevention. South Lake Union Physical Therapy works with all goals and expectations to achieve optimal outcomes while promoting a safe and comfortable environment. Call today to schedule an appointment (206) 486-3344 or click here to schedule now. Seattle (South Lake Union Physical Therapy) provides expert care for a wide range of conditions, click the links below to learn more or call to schedule with a Physical Therapist. Clinic Director, Doctor of Physical Therapy Anna is overjoyed to be the Clinic Director of South Lake Union Physical Therapy! She is a Seattle native, and is happy to be serving the community where she grew up. Anna attended the University of Washington where she majored in Psychology and Communication. She later received her Doctorate of Physical Therapy from Regis University in Denver, Colorado. Anna enjoys building lasting relationships with her patients, and promoting long-term lifestyle changes in order to help patients reach their goals. She enjoys working with everyone from “weekend warriors” to seasoned athletes, and has a special interest in knee, foot and ankle cases. She is an Orthopedic Clinical Specialist, and is currently pursuing advanced specialization in manual therapy through The North American Institute of Orthopedic Manual Therapy (NAIOMT). In her free time, Anna enjoys spending quality time with friends and family, and traveling. She also loves to get outside and run, hike, cycle or ski. She also has experience working with competitive rowers! She has recently gotten into mountaineering, and is proud to have summitted Mt. Rainier! Anna leads a weekly running group in the area, which is a passion of hers; ask her about it! Physical Therapist Amy is a native of Syracuse, NY and a graduate of Ithaca College in Ithaca, NY, receiving her B.S. degree in Clinical Health Studies; followed by her Doctorate of Physical Therapy. Amy has been practicing physical therapy for the past four years, and has a wide range of clinical experience treating various patient populations from geriatric to adolescent and general orthopedics. She also has a special interest in rehabilitating post-operative orthopedic patients. 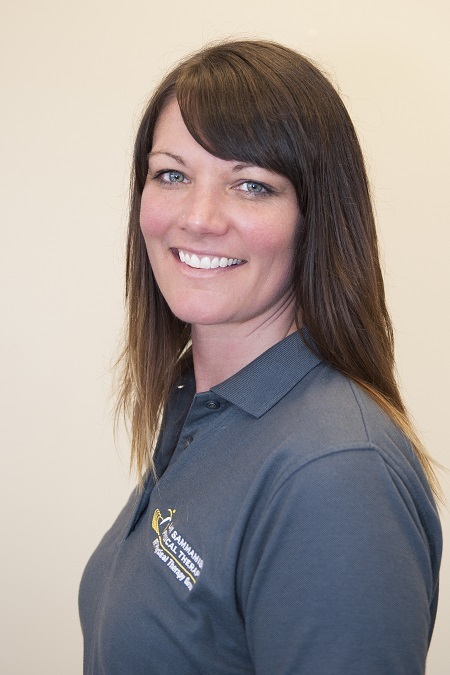 Amy is a compassionate and caring therapist who believes in providing each patient with extensive education on the nature of their injury as well as exercises and tools to help with injury prevention. Outside of work, Amy enjoys cooking, hiking, barre and exploring all that the Pacific Northwest has to offer. Physical Therapist Assistant Jill was born and raised in Grand Rapids, Michigan, but has been a resident of Seattle for 13 years. Her desire to make a positive difference in the lives of others though wellness and her love of athletics drew her to the physical therapy field. Jill graduated from Pima Medial institute with honors, and received an associate's degree in science. She has clinical experience in a variety of settings including outpatient sports Rehab, pediatrics, and in a skilled nursing environment. In her free time Jill enjoys, distance running, hiking, snowshoeing, playing co-ed softball, and biking.